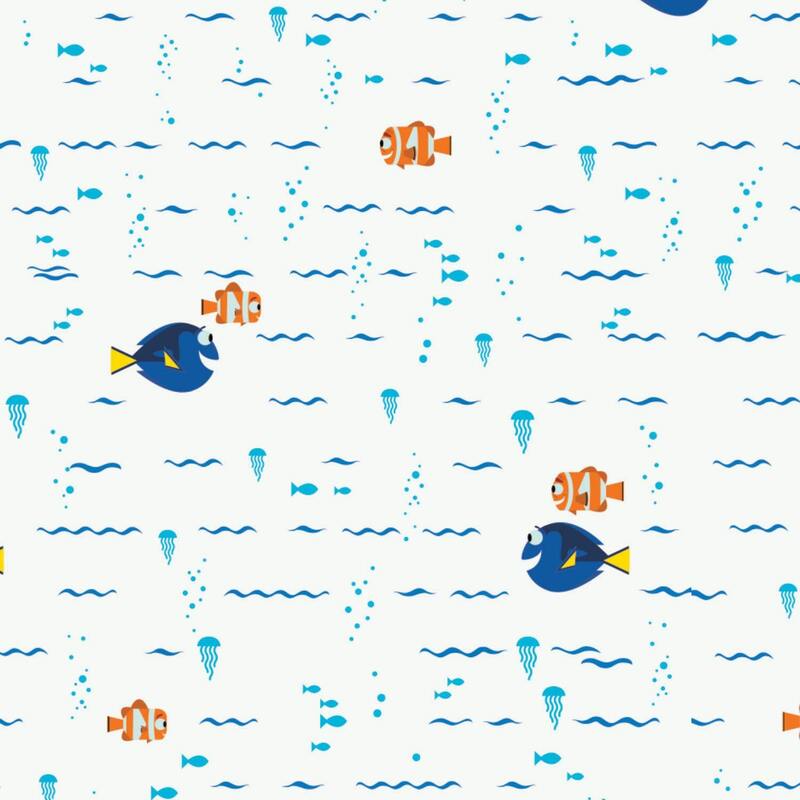 DISNEY'S FINDING DORY SWIMMING children's cotton fabric. 44-45 inches wide. Just keep swimming, swimming, just keep swimming. In your case it is just keep sewing, sewing, sewing. Who wouldn't want to create some fun quilts or decorate a child's room with Finding Dory. Made from quality cotton fabric you won't be disappointed in this adorable fabric. Colors include white, blue, and orange. Made from 100% cotton and 44-45 inches wide. All fabric from The Quilted Nursery Children's Fabric Store is cut directly from the bolt and sold by the yard. If you require special yardage please send us a message and we will be happy to accommodate your request. Excellent seller! Great fabric and service!